GREAT GAS MILEAGE!!! 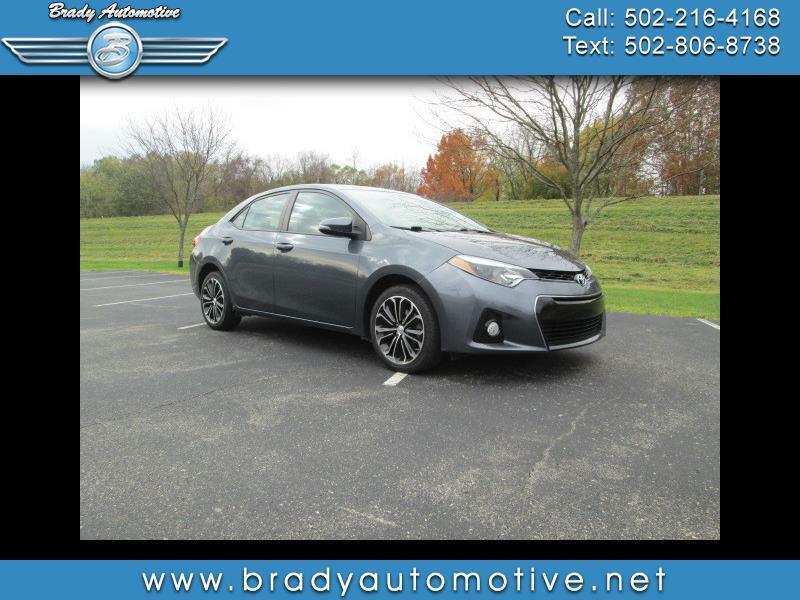 2014 Toyota Corolla S Plus 1.8L 59,651 miles. Comes equipped with power windows, locks and mirrors, Bluetooth, handsfree wireless, good tires, alloy wheels, cold A/C, heat, backup camera. This is a awesome car and sporty as well. Great features with a cool exterior and very nice interior. You also can't beat the gas mileage on it! Contact Chris to schedule a test drive or stop in and see us today. Thank you!